LAGOS MARCH 20TH (NEWSRANGERS)-The Senate on Tuesday, March 19, observed a minute silence in honour of Nigerian-born Prof. Pius Adesanmi and Amb. Abiodun Bashua, who both died in the ill-fated Ethiopian Airline plane that crashed two weeks ago. Prof. Adesamni and Amb. Bashua, as well as other passengers, died on March 10 when the Boeing 737 MAX 8 aircraft belonging to the Ethiopian Airlines fleet they had boarded en route Nairobi, Kenya, crashed six minutes after take off. The decision to honour the two Nigerians was a sequel to a motion of urgent importance moved by Sen. Gbenga Ashafa (APC, Lagos). Also speaking on the motion, Sen. Mao Ohuabunwa commended the Minister of State for Transport, Hadi Sidika for the swift response by grounding all 737 Max 8 Aircraft in the country. Sen. Abiodun Olujimi who also supported the motion advocated for the revival of a national carrier in Nigeria. “These are not the best of times. We need to own our own national airline so that we can have our own regulations to monitor our own aviation laws,” she said. 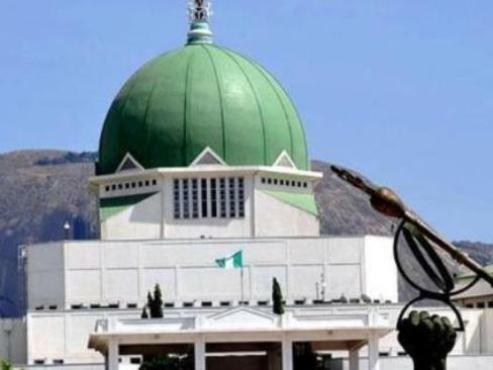 “We urge the Federal Ministry of Aviation and the Nigeria Civil Aviation Authority to ensure that all aircrafts operating within the Nigerian airspace are airworthy in order to keep Nigerians safe at all times,” the Senate resolved.